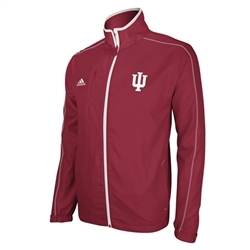 From ADIDAS comes the Sideline Lightweight Jacket in crimson 100% woven polyester fabric.There is a woven applique IU logo on front and INDIANAembroidered vertically on back yolk and ADIDAS logo on front right chest. 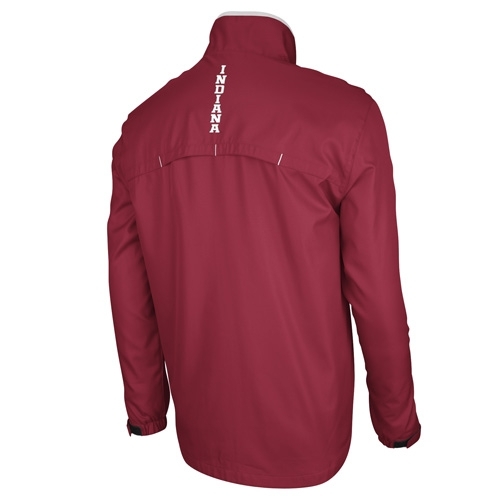 Full-front zip with side pockets and zippered media pocket. Go Hoosiers!